As you might know, I do a lot of video (of Anya of course). My workflow is as follows: film with my Sony TRV-18E, transfer to the PC using Firewire, edit and render using Ulead Videostudio 7 and burn as VCD or CVD using my Samsung CD-RW. 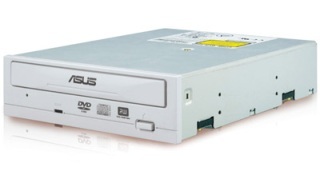 I am seriously considering buying an Asus DRW-0804P DVD-R/RW drive. In fact, it’s a rebranded Pioneer DVR-A07/107. I want to do that in order to render my videos in D1 (720×576) MPEG2 files and play them as when using a normal DVD-Video. The European Union has fined Microsoft a record 497.2 million euros (Rs. 15,500,000,000 !!!) 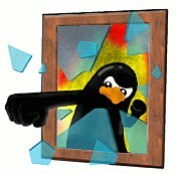 for abusing its near monopoly with Windoze and for having an illegal behaviour which is still ongoing. (2) Give access to detailed information (including part of the source code) of the Windows kernel and tools to software vendors building tools for the server market so that their tools can work optimally with Windows. Oracle for instance is bound to work better with Linux now than Windows because Oracle Corp. has full access to the Linux source code and can optimise its database. But with Windows, Oracle cannot do that for the time being while Microsoft has full access to Windows source code (of course) to optimise SQL Server. This is clearly detrimental to those who have bought Windows but want to run a software which isn’t from Microsoft. En résumé, Microsoft’s guys are bad guys, they stiffle competitors and they sell crap products. It’s really a magnificent DVD player. The feature set is quite phenomenal : Progressive scan, Component video output, 54Mhz/12bit video DAC, 192kHz/24 bit audio DAC and DVD rewritable compatibility. Furthermore it plays everything : DVD, SVCD, CVD, VCD and even plain MPG files on a CD ! In one word, it’s great !